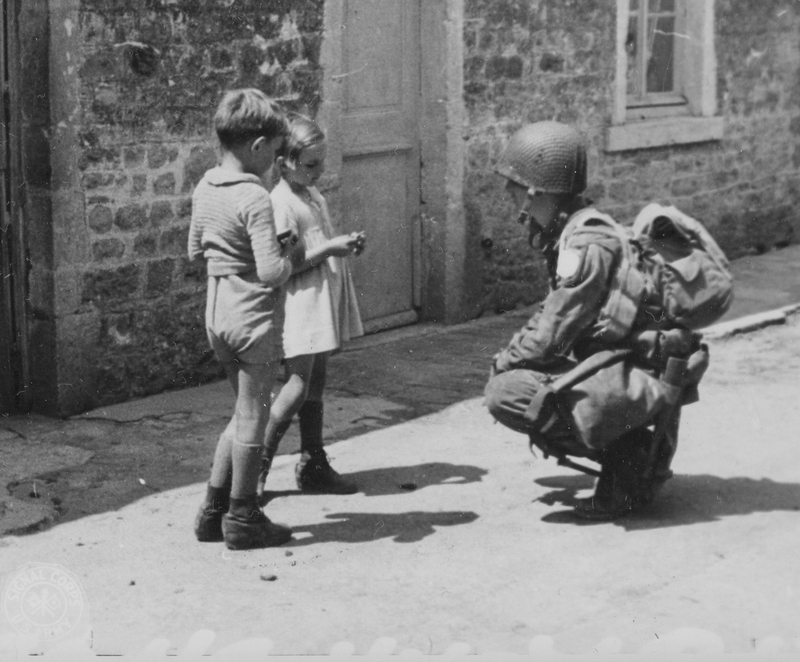 An American paratrooper in Normandy kneels down to chat with two French children. 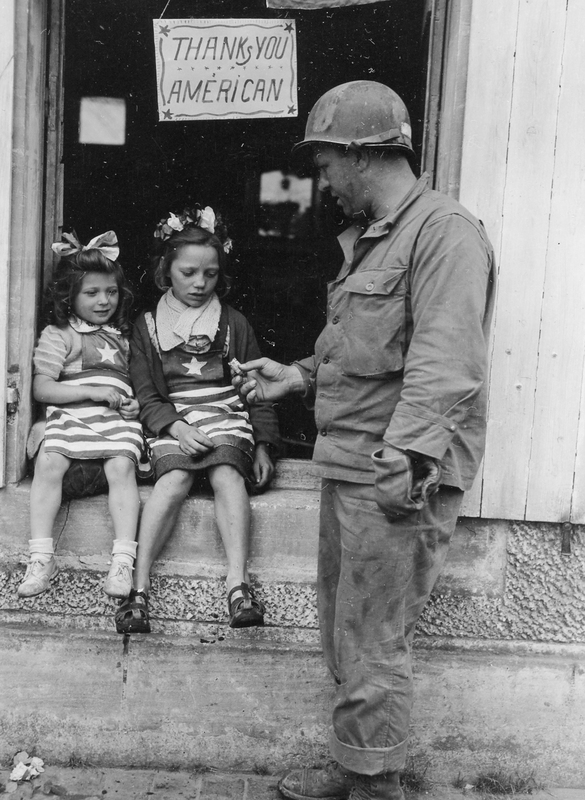 June 8, 1944. The recent horrific attacks in Paris underscore the nature of the threat we in the West face today. Al Qaida has not been defeated. The forces of Terror continue to deliver barbaric and sanguine blows across the globe–from the streets of Europe to the Syrian desert, to the mountains in Afghanistan. Now, more than ever, the allies of Freedom need to stand together as one. From the earliest days of the American Revolution, France has been a loyal and trusted ally of the United States. Two hundred years of friendship and mutual dependence on our security have forged a unique bond. We are Brothers and Sisters–a family. Sure there are fractious moments, sure there are disagreements as every family will have, but in the end, our nations have always been there for each other. The bond between the United States and France has never been just about policy or diplomacy. It is a connection between two peoples, bound together by a common heritage that includes the pursuit of liberty and human rights. I was in Texas when the march in Paris took place. I wish I could have been there, walking in solidarity with the millions who believed free expression was worth the risk of another mass casualty event. As I watched leaders from around the world, arm and arm, leading the way through the Paris streets, I felt a profound sense of shame that my own country failed France so thoroughly. Our President should have been there as a symbol of our commitment to France. Nothing can compensate for that error, but do know that Americans stand with you, and we will always stand with you in your most desperate hours. Over the last two hundred years, we have shed too much blood for each other’s freedom to do anything else. To honor our Alliance, next week’s stories and photographs will be dedicated to moments in our Alliance. 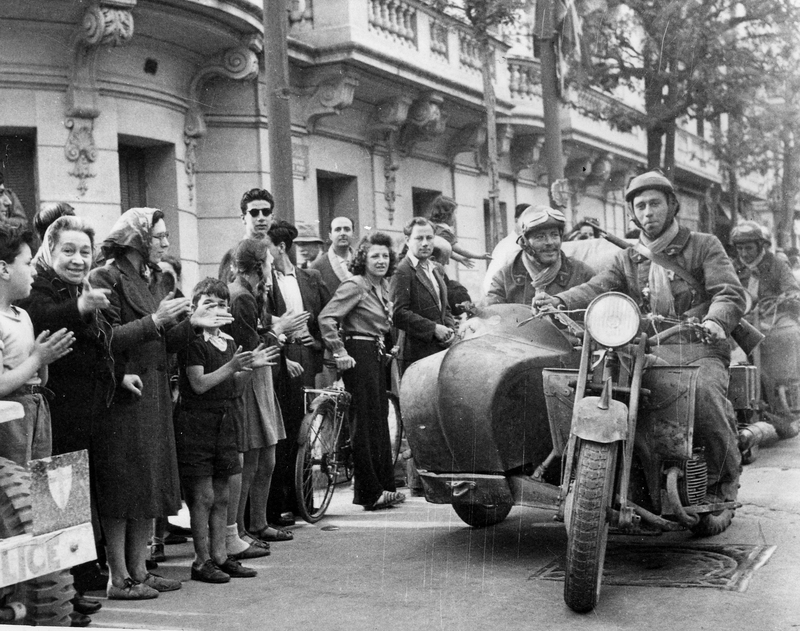 French troops enter Tunis, Spring 1943. We so easily forget our own history and the roles played by our friends.